To wrap up a week of Police & Thieves, here’s Strummer & Co.’s timeless take on Junior Murvin’s classic. What’s interesting is that The Clash were covering a popular song of just one year prior. Imagine if these “radical” bands of today (whoever those are) covered, say, I dunno, R. Kelly? I guess that Fall Out Boy are covering Michael Jackson. So maybe Fall Out Boy is the new Clash. Also watch the live version, from the film Rude Boy. And here’s a good promo video of Junior Murvin’s original, featured below. 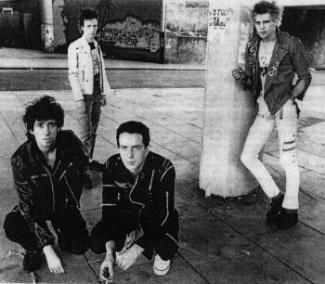 And check out this clip from Westway To The World, the Clash doc. Check out 8:45 to hear Joe Strummer wax poetic on the Mick Jones’s arrangement of Police & Thieves. Here’s Junior Murvin with another song on the “Police & Thieves” riddim. Listen for Lee ‘Scratch’ Perry’s trademark mumbles in the background–sounds like a ‘Super Ape’ indeed. I think I might like this even better that Junior’s original “Police & Thieves.” Maybe that is sacrilege. Stay tuned tomorrow for the version of “Police & Thieves” you probably know best. Stay tuned for Police & Thieves, parts 5 and 6 over the next few days! This is basically a concerto for reggae bass, with hi-hat and weird organ sounds for accompaniment. Please listen with a good set of cans, or a nice big stereo. That bass! This is one of the better dub tracks out there. The choices are inspired: what instruments to fade in and out, when and where the echoey ghosts of the original show up. Nice work, Scratch. Stay tuned for the rest of “Police & Thieves” weekend! Jordy: what do you think you and I start sporting the shades pictured above? Too bad LaCosta spells his first name incorrectly…. At Jordy’s behest, I will celebrate my return to regular posting with a veritable cavalcade of cops and robbers. That is, a number of versions of Junior Murvin’s 1976 rocksteady classic “Police & Thieves.” I hope to post a number of dub versions of the riddim, and top it all off with a not-so-secret cover by the only band that mattered. But, before all that, enjoy the classic Junior Murvin vocal on one of my favorite reggae tunes. Listen to that hi-hat! The weird guitar sound! The super-high singing! I love it. Look for more police, more thieves, tomorrow. 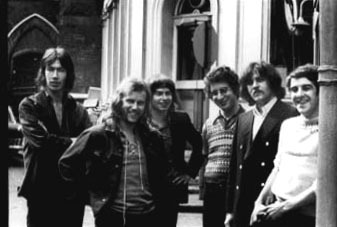 This band was so much more than “A Whiter Shade of Pale.” ASD is a terrific set of songs characterized by rich instrumentation (not just organs) and varied styles. It’s a real joy to listen to. I’m perplexed as to why it hasn’t seen a re-release here in the States. In fact, the Harum’s whole catalog is shamefully difficult to find.